We have a very good news for all who love sporty superbikes. Suzuki will launch a superbike in India at around Rs 7 lakh. The superbike is Suzuki Gladius. The superbike is equipped with a 650cc, 2 cylinder, V-twin engine that churns a peak power of 66.6 hp at 9,000 rpm and generates a peak torque of 63Nm at 7600 rpm. The bike features several innovative and advanced parts. The bike is expected to be launched mid 2010 in India. 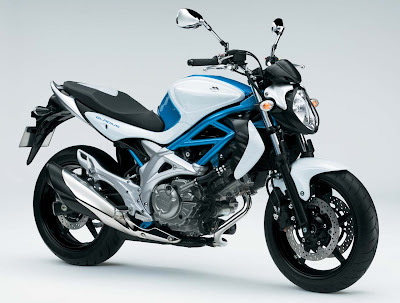 The Suzuki Gladius might be brought here as a complete built unit (CBU) hence attracts 100 per cent import duty. In addition to this, the company is also planning to launch an entry level bike in India and a mid-term bike in India. Suzuki is also reported to introduce its Suzuki GSX-R 1000cc in India which is to be positioned against Honda CB1000R and Yamaha YZF R1. Apart from these bikes in India, Suzuki Hayabusa and Suzuki Intruder are already available in India and the company has sold 100 units of both the bikes in India. Indian subsidiary of Japanese Suzuki Motor company has invested an additional Rs 150 crore in India to expand dealer network and capacity. It is to be mentioned that there are a couple of global bike makers who are present with their superbikes in India. These include Ducati, Kawasaki and Kawasaki. Harley Davidson and KTM bikes in India are going to be available in the country very soon. KTM has an alliance with Bajaj Auto-the second largest auto maker in India. Electric bike manufacturers are also flooding in India with their products like homegrown EKO Vehicle has recently announced to launch EKO bikes in India in Delhi Auto Expo, 2010.